My Uncle Dave had his pet alligator, named Blackbeard, for 11 years. He got her before a law was passed that owning alligators was illegal in the state of Maryland, and was unaware of the law. 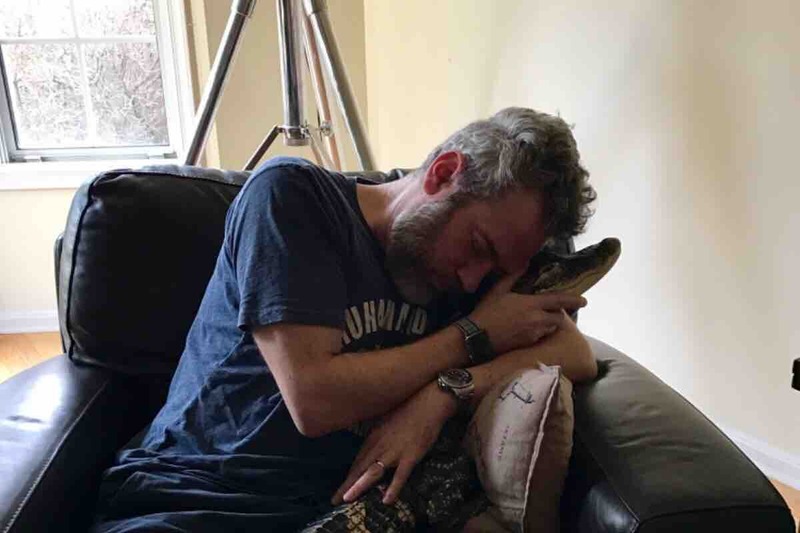 Last month the police received an anonymous tip that he had the alligator, and then along with animal control went to their house and took Blackbeard from them. They loved Blackbeard like she was a normal pet, because to them she was. They never did anything wrong with her and she was treated with love. Blackbeard was not kept in a cage or harmed in any way, she could freely roam the house as if she was a cat or dog. My Uncle Dave is facing a fine of up to $1000 and we would love if you could help us pay this fine, because he is still upset with the loss of his pet, as is my cousin Bryce and my Aunt Kami. The extra $1,500 is to help pay for legal fees. The money not used for legal fees will go to the preserve where Blackbeard is being kept. Blackbeard was part of my family we all deeply miss her. Even the smallest donation can help. Please spread this to your friends.